Almost the first thing I notice: nothing looks the same. Though, normally, I have a strong internal compass, suddenly I lose my bearings easily and often. Shadows and pools of light transform even the most familiar streets into alien territory. 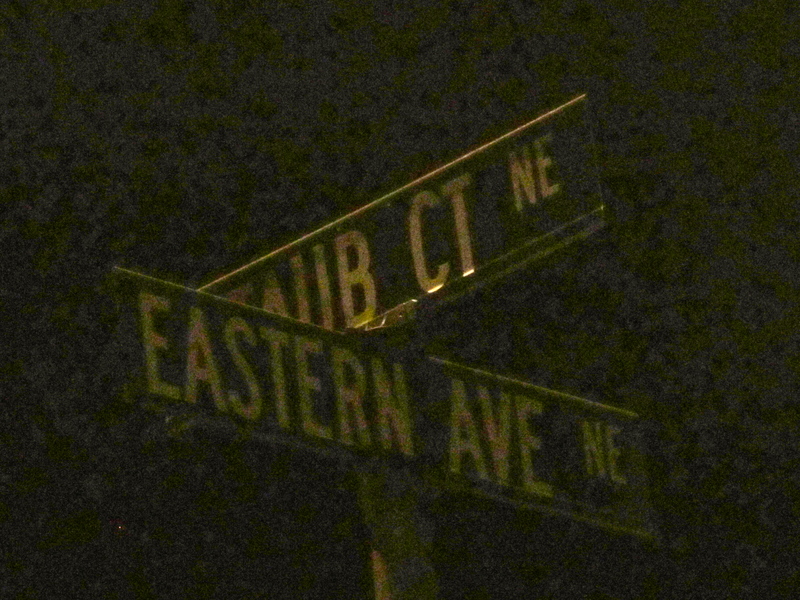 At corners, I move up close to the street signs, shining my little key-fob light at the words, verifying that I’m someplace familiar, in spite of appearances. Walking in my neighborhood at night, I notice little things like the discarded banana peel I almost stepped on (imagine what a story that would have made! 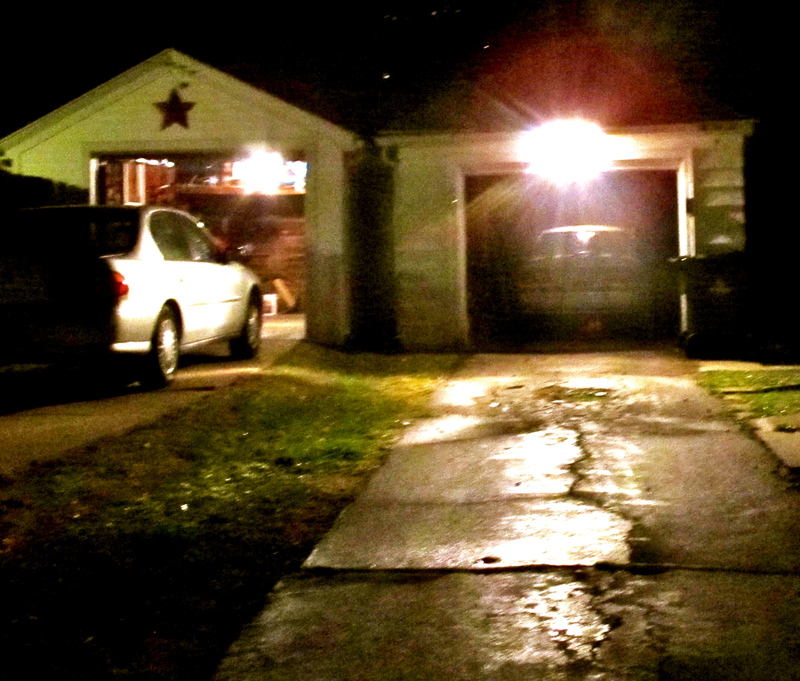 ), or that a surprising number of motion-activated flood lights pick up movement in the street. 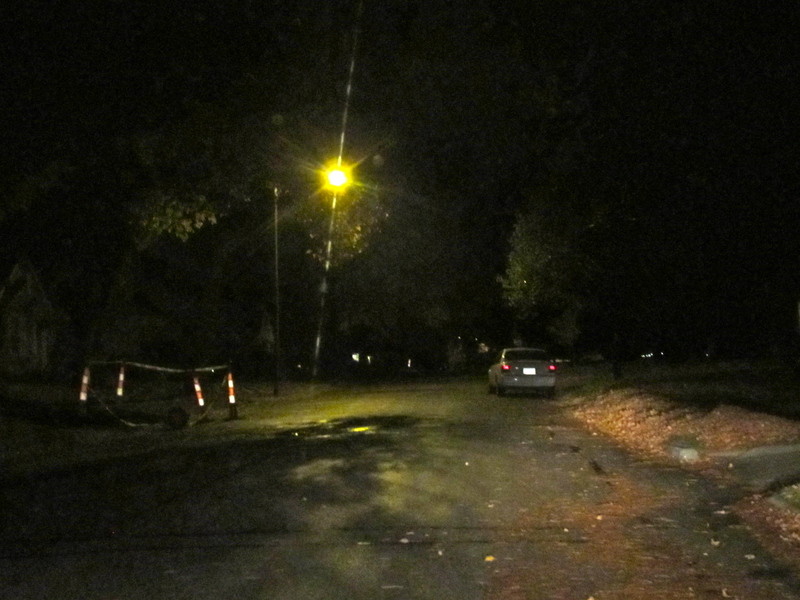 And I notice big things: the dearth of sidewalks; streetlights shining up into the orange leaves of the sugar maples. I notice clouds scuttling across the bright white harvest moon, blown by the freshening winds of autumn. Recently, I have been grappling with issues and transitions in my life. 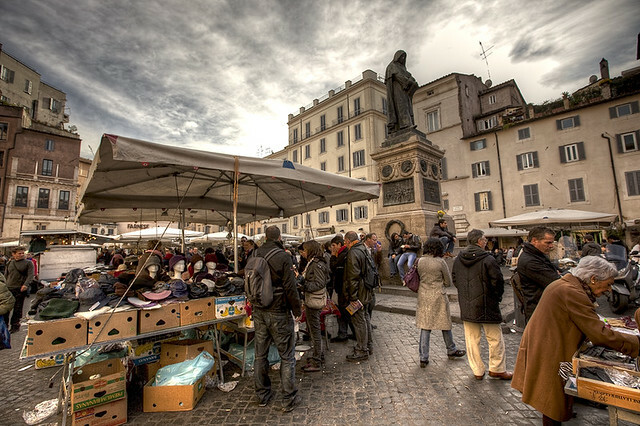 Mostly, I have been unable to share them in this blog for two reasons. First, some stories are not mine alone to tell. Second, there are practical considerations which prevent me talking about some of these processes for now. But this blog has become my way of inviting others to share my journey, and your companionship on the road has truly motivated and inspired me to keep moving forward. To be bound to silence for the time being – this has truly been difficult. Add to that the discomfort we all feel at the thresholds of new places, when we know we want to enter but are unsure of what awaits us – and I am all verklempt. Inside, I roil. Emotion threatens to overwhelm me. An impetus to speak, to act, to move pushes outward from my core – yet I am in a moment of stasis before the rapid acceleration I am certain is to come. When I must do something, I head out into the night to walk. Up and down streets I’ve taken for granted for years. 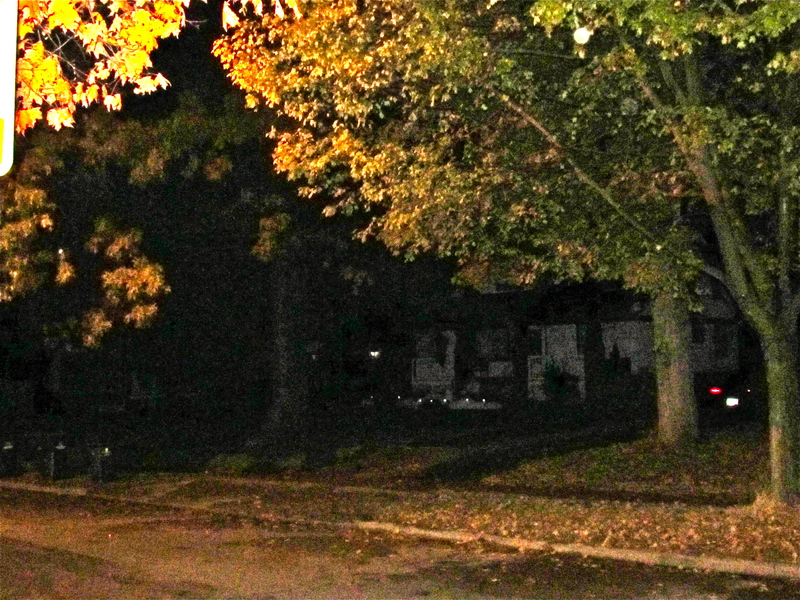 Past houses full of neighbors I’ve never met, past dogs in yards begging for attention, past fallen leaves and trash cans set out for the morning collection. As I walk, I talk to myself. Admonitions. To-do lists. Corrections to my faulty thinking. Snippets of poetry. Half conversations – some real, some my lines in imaginary dialogues. Occasionally, I check that this running-at-the-mouth is truly internal, that I haven’t started actually speaking out loud like the mentally-ill homeless woman who alternately breaks my heart and frightens me. The parallels between the metaphorical road I am walking in my life and these actual night walks are not lost on me. In both cases, I am treading familiar/not familiar territory. Change is surrounding me, from the physical changes of autumn to the emotional and psychological changes required by liminal moments. I have to move forward, with determination and without fear (hello, since when have I not been afraid of the dark?). Focus is required to avoid tripping and to keep from psyching myself out. I am treading both paths alone. I walk until my shoulders start to ache, usually the first sign of fatigue, which slows the mental synapses and causes my internal voice to grow quiet. My mind is finally free to notice the big and little things I mentioned earlier. I begin to hear the sounds occurring outside my own head: the scuttle of a squirrel chase, the frantic tinkle of windchimes, a distant siren’s wail. I lean into the wind and breathe deeply. Finally…finally…I relax. Finally, I can stop trying to force things. I can let go of the need for specific outcomes, and just lean into the now. 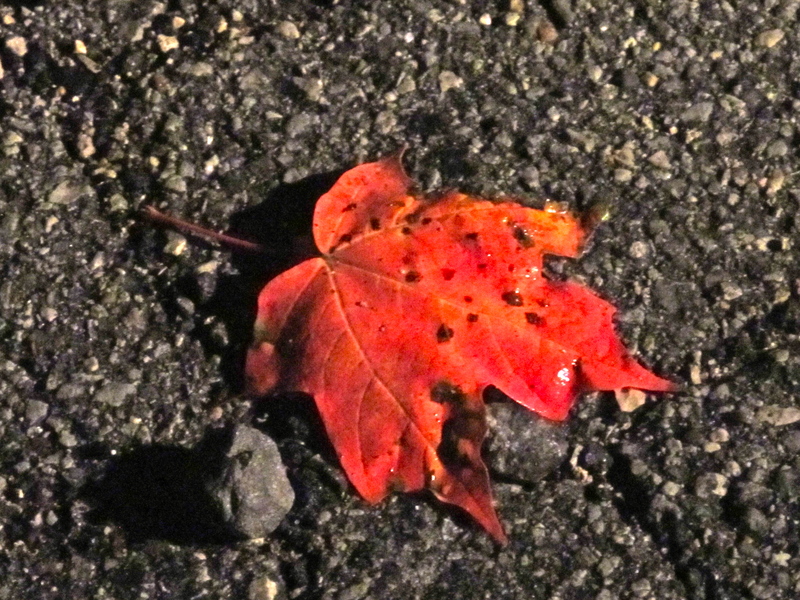 Lean into the perfect red-orange of a fallen leaf on the black asphalt at my feet.